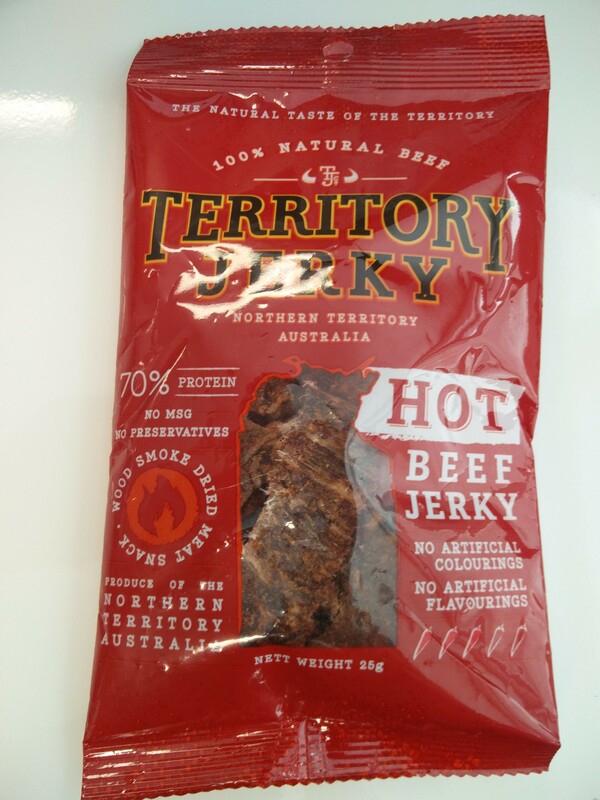 Territory Jerky hail from Alice Springs in the Top End of Australia and have been making jerky since 1983. 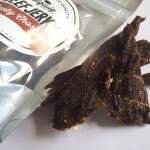 Territory Jerky is trimmed, marinated and then smoked and air dried resulting in a thin, very dry jerky. 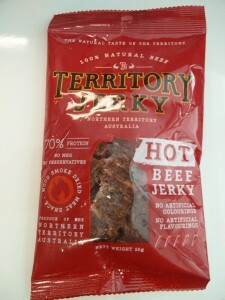 This review is of a 25 gram pack of the their HOT Beef Jerky. Each piece was of similar thickness and proportions. Most probably due to the wood smoking it has an external crust almost similar to pork crackling. 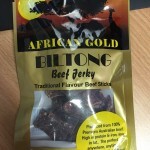 The flavouring appears to be dried into the meat through this outer layer. 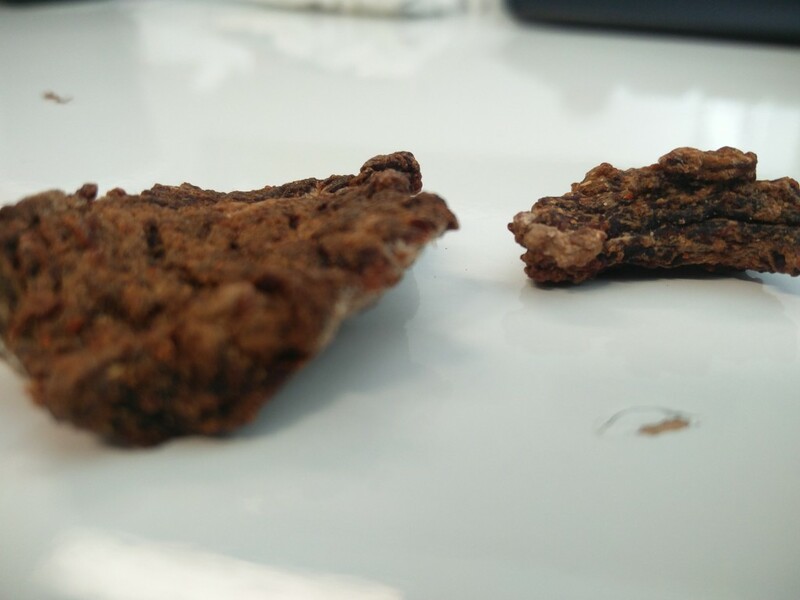 The dryness makes it resemble a small piece of wood/woodchip or bark. External crust crumbles easily in your mouth. 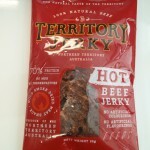 The first taste is very mild but quickly delivers a smoky intriguing meat taste. This is then followed with a very nice hit of chilli. Chilli heads will likely want this to be hotter however for the rest of you this heat is almost spot on. I can easily see this working with a pilsner style beer during a Sunday sesh. I would happily eat this again. Advertised as 3/5 chillies, two chews in feeling the burn. Nice steady increase in temp. Very tolerable and consistent across multiple pieces. At $4.50 for 25g, this product is quite high in price compared to other jerky. This is mainly due to the size/weight of the actual package. 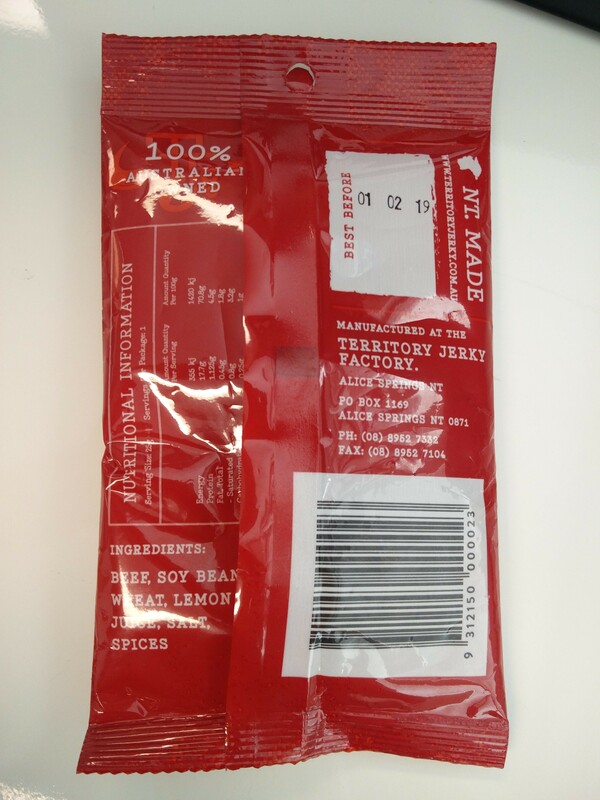 25g is not a lot of jerky, but being so dry, it is quite light therefore there is still a reasonable amount.